Our lives today are cluttered and crowded. The list of responsibilities that we feel we must accomplish grows overnight like Jack’s beanstalk! We keep taking on more and more until before we know it we are bowed down with burdens, panting through a never-ending program of projects to complete, people to meet, and places to go. We are too busy to listen even to the people we love, too hurried to enjoy the moment, too distracted to pray. We tell ourselves, “As soon as I fulfill this responsibility or solve that problem then I can relax.” One after the other the pages of the calendar turn and still we keep doing too much, still we are not living in the peace of Christ. Frustrated with our inability to change our lives we blame our problem on the complexity of life in our fast-paced, technological society. We think that life was simpler and easier in times past. We fantasize about living somewhere else, perhaps in the country where the grass is greener and we might have a slower, less stressful life. But our problem is not on the outside it’s on the inside—it’s an issue of soul, not environment. The problem is me. In the situations of the day each self within me shouts out what it wants and the chairman within me is pushed and pulled from one to the other, rushing back and forth to appease whichever self is shouting the loudest at the time—that’s anxiety! Almost one century ago Thomas Kelly (1893-1941), a Quaker missionary and educator described the stress and strain of modern life in similar words as mine above. (Life wasn’t automatically simpler and more peaceful back then.) Longing for a deeper, richer life in Christ he formed a small group with seven of his students to read the classic books of Christian devotion. As they talked and prayed together each week their love for God and one another grew. They did this for three years until Thomas’ premature death in 1941 at just 48 years of age. 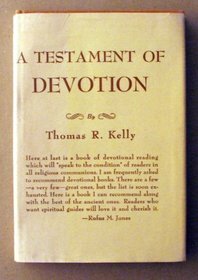 After Thomas Kelly’s death some essays he wrote were published as A Testament of Devotion, which became a spiritual classic just like the books that revitalized his life and those of the students in his group. His prayer, “Lord, make my life a miracle!” was answered! This bold prayer echoed through the decades to Ray Ortlund Sr. It became his own prayer and it moved him to start discipleship groups in the spirit of Thomas Kelly’s group. Lord, Make my Life a Miracle! became the title of Ray’s own best-selling devotional book. Decades later Thomas Kelly’s miracle prayer of devotion to Christ reached me when Ray Ortlund Sr. became my spiritual mentor and friend. Ray spoke to me about the influence that Thomas Kelly had on him, inspiring him to live for Christ, “warm and close to the Center.” That made me excited to read A Testament of Devotion. I invite you to join me in savoring these words from Thomas Kelly in A Testament of Devotion. “Take heart” from him. 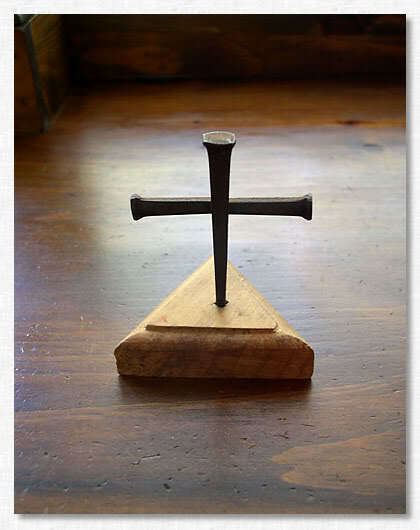 Absorb his devotion to the Lord Jesus Christ and make it your own. Let his words from A Testament of Devotion inspire you to learn to live “warm and close to the Center,” affectionately abandoned to the Spirit of Christ who dwells within you. “Our real problem, in failing to center down, is not a lack of time; it is, I fear, in too many of us, lack of joyful, enthusiastic delight in Him, lack of deep, deep-drawing love directed toward Him at every hour of the day and night. A simple Breath Prayer offered continuously from our heart can help us to live in the “fellowship of the Transfigured Face” as Thomas Kelly did. Breathing a prayer from Scripture is a simple way to be intentional with your body in order to engage your mind and heart with God’s Word. You just whisper or think the words of the prayer as you breathe in and out, slowly and deeply.